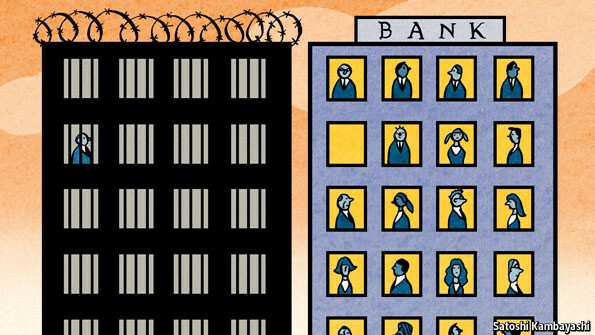 Can Bankers be brought to justice? You are here: Home / Banking / Can Bankers be brought to justice? Can bankers be held responsible for financial collapse? It has been five years since the financial institution collapse which caused recession on a global level and millions of people have suffered by losing jobs and having to lower their living standards, yet no banker has been jailed for running the bank into the ground and causing this catastrophe! As the article I read on The Economist explains, it is not as simple as it is made out to be in the movies! The good point made in the article is that governments are changing their ways of dealing with banking institutions and enforcing ways that the banker will be held responsible for any further collapses, but what would be more beneficial is to ensure that steps are put in place that prevent the failures!